In succession of the work ‘Fish’ in february 1997 PIEK! 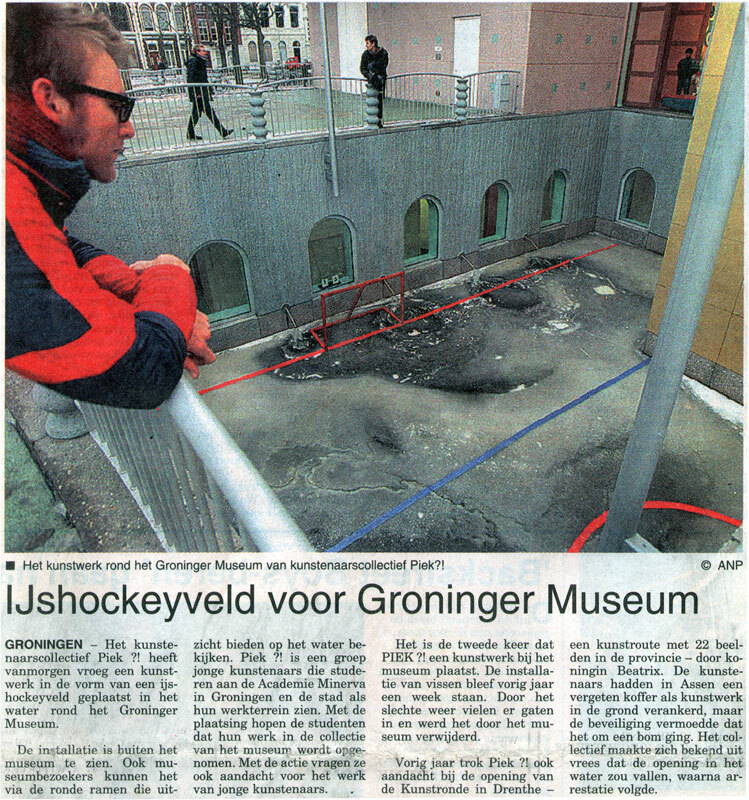 placed an icehockeycourt on the frozen ponds of the Groninger Museum. The two ponds are split by the entry of the museum. Both ponds became a part of the hockeycourt. It was not possible to really play hockey on the court because of the entry. But PIEK! placed, what is called in dutch a ‘klûn’ spot, over the entry. 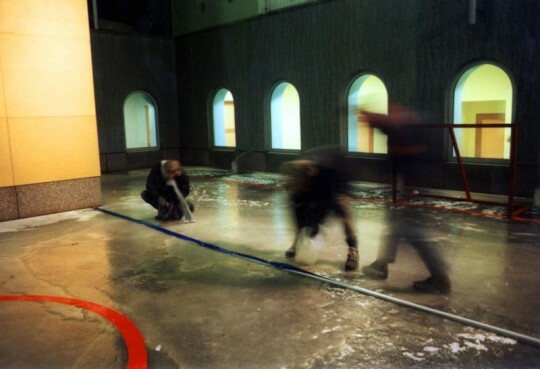 A ‘klûnspot’ is a place on a skateroute where the skater has to walk on his skates when skating is impossible.